This year my sister Chantell in Australia, our friend Kim (who lives down the road from me) and I decided to join in a card swap each month. 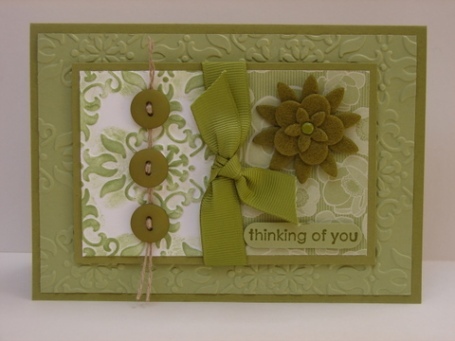 This months challenge is to use one colour with white or vanilla. So here is what we came up with. 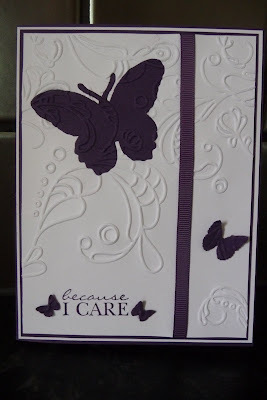 Chantell used her big shot to some embossing. I love how she threaded the buttons! 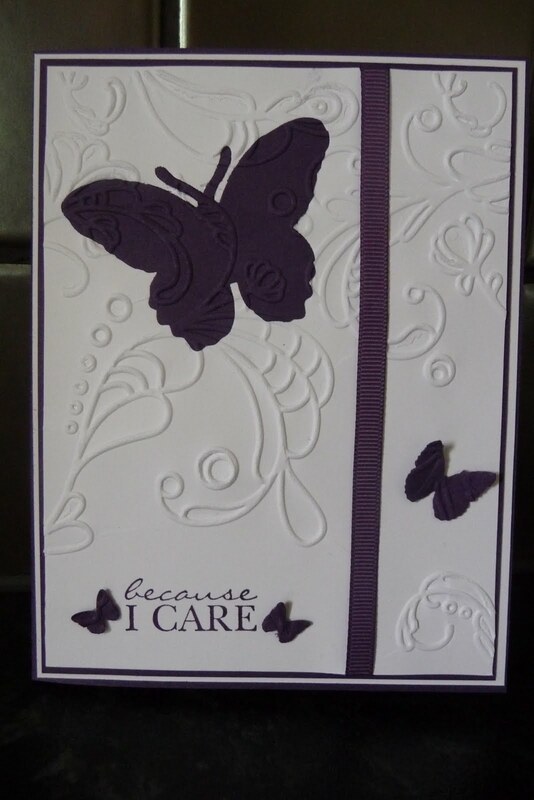 Kim also used embossing but she pressed the butterfly into the card to make this great seamless effect. Just as I was about to make this card a birthday present arrived from Chantell. 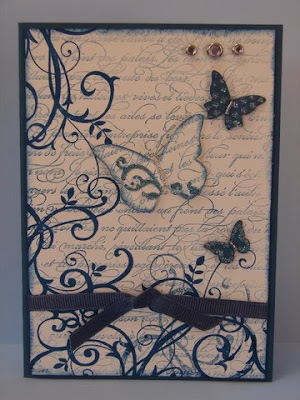 The Beautiful Wings Big Shot die. I used the French Filgree and Baroque Motifs stamp sets for a romantic feel. February challenge is a In Colour challenge! Check it out soon!